Actual painting is underway. It's crazy , I know. Raptor armor.... the Rednekk way. The paints and their corresponding layers. An overcoat of Charadon Granite, which has been thinned slightly with matte medium and water. 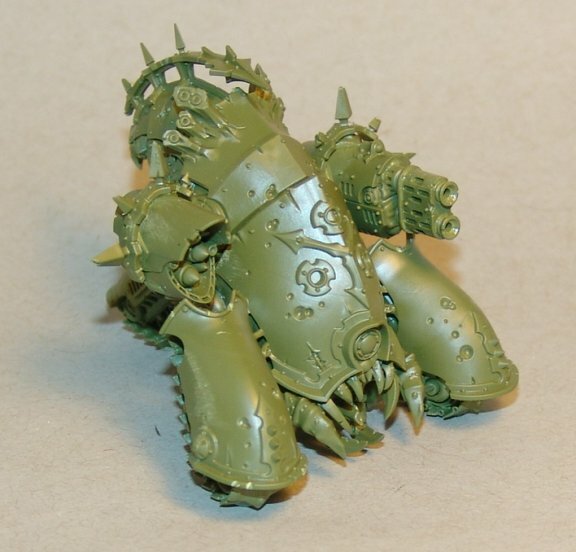 Then a heavy drybrush of Battledress Green. Drybrush the edges with Gretchin Green and a quick overall drybrush with some thinned Bleached Bone. 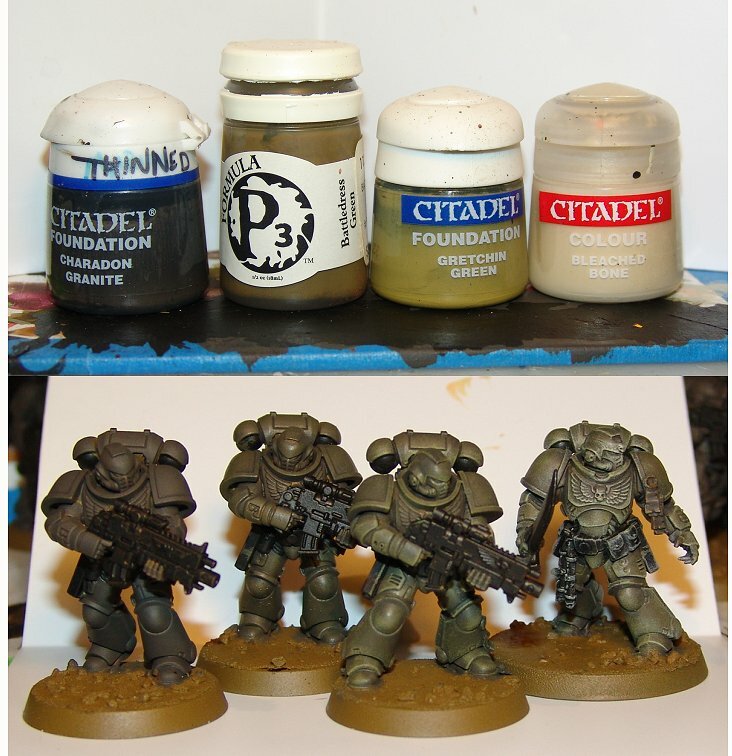 Then its off with the washes (or shades) Althonian Camoshade in the recesses with a small brush and a little brown or the old Althonian Camoshade/Druchii Purple mix if I really need to darken something. Here's the end result of that on the LT. Still have some detailing to do with him, but the base armor color is done. 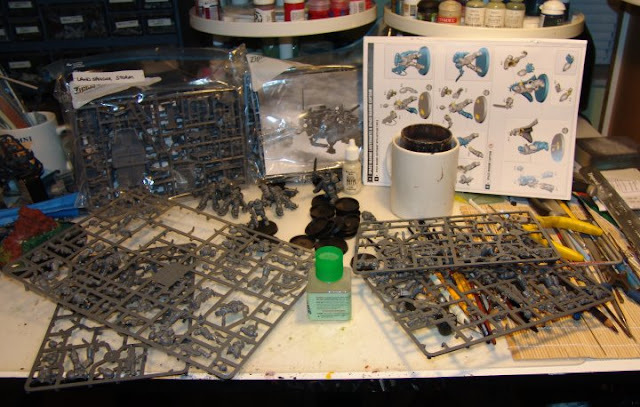 I got the rude news, I'll be having some shoulder surgery in a couple weeks, hopefully I'll still be able to paint, but I'm going to try to get as far along on this challenge as possible before D-Day. (its actually on June 5...so really D-1) Not sure how much use my left hand will be, but if I can hold a mini with it I'll be able to paint. All of the Primaris Marines from the boxed set are built. Bases need to be done and then primed, but that's one evening's work. Up next, I have two Land Speeder Storms to build. 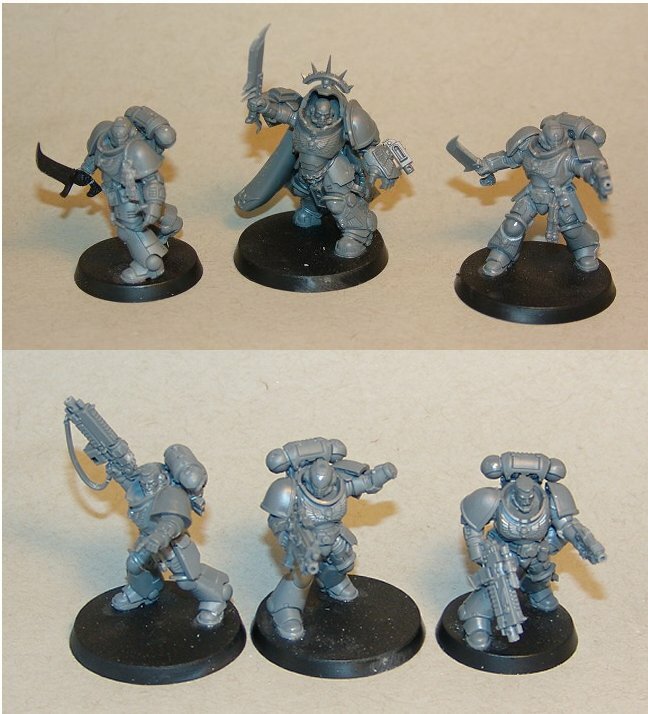 Here's the Captain, 2 Lieutenants (top) and the Ancient with the 2 Intercessor Sergeants. 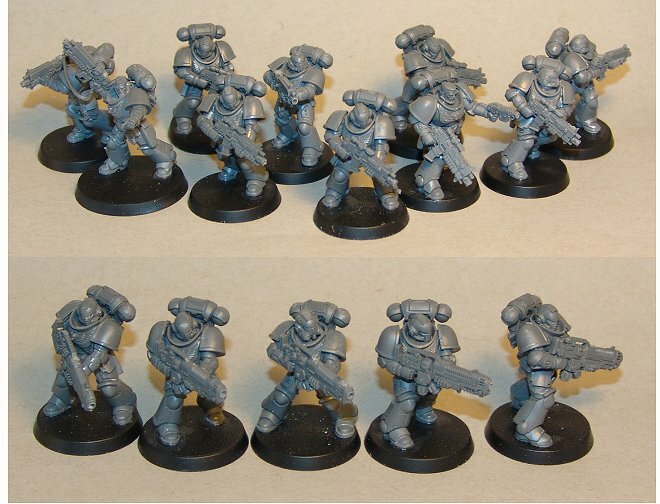 And the Intercessors plus the Hellblaster team. Of course, with all of this Emperor loving goodness, I felt a little dirty... so I built this guy too. He needs some green stuff and a few other bits here and there. I figure he'll be my project to work on while waiting for paint to dry with the Raptors. 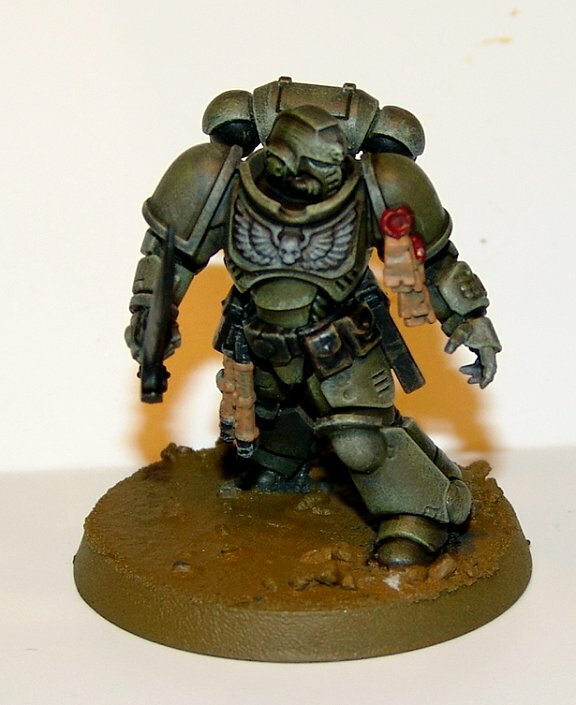 Once again, the wonderful gang over at The Bolter and Chainsword are doing a painting challenge and I'm going to enter. Been on a bit of a hobby hiatus, so this is a great way to get back at it. 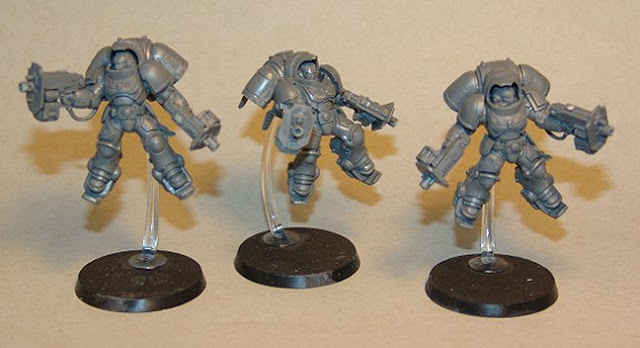 Basically, I'm painting my Dark Imperium guys and a couple Land Speeder Storms in my Raptor Chapter scheme. Its likely they will eventually be for sale as I try to whittle my model collection down, but that's not likely to happen until Fall. At any rate, here's a picture of the humble beginnings as I throw down the gauntlet. Lots of building to do, but I'm on stay-cation until next Friday, so it shouldn't be a problem. More on that as it progresses.